William Lawrence Bragg, son of William Henry Bragg, was born in Adelaide, South Australia, on March 31, 1890. He received his early education at St. Peter’s College in his birthplace, proceeding to Adelaide University to take his degree in mathematics with first-class honours in 1908. He came to England with his father in 1909 and entered Trinity College, Cambridge, as an Allen Scholar, taking first-class honours in the Natural Science Tripos in 1912. In the autumn of this year he commenced his examination of the von Laue phenomenon and published his first paper on the subject in the Proceedings of the Cambridge Philosophical Society in November. In 1914 he was appointed as Fellow and Lecturer in Natural Sciences at Trinity College and the same year he was awarded the Barnard Medal. From 1912 to 1914 he had been working with his father, and the results of their work were published in an abridged form in X-rays and Crystal Structure (1915). It was this work which earned them jointly the Nobel Prize for Physics in 1915, and from this year to 1919, W. L. Bragg served as Technical Advisor on Sound Ranging to the Map Section, G.H.Q., France, receiving the O.B.E. and the M.C. in 1918. He was appointed Langworthy Professor of Physics at Manchester University in 1919, and held this post till 1937. W. Lawrence Bragg, who had been elected Fellow of the Royal Society in 1921, was Director of the National Physical Laboratory in 1937-1938 and Cavendish Professor of Experimental Physics, Cambridge, from 1938 to 1953. He was Chairman of the Frequency Advisory Committee from 1958 to 1960. Knighted in 1941, Sir Lawrence holds the degree of M.A. (Cambridge), Honorary D.Sc. (Dublin, Leeds, Manchester, Lisbon, Paris, Brussels, Liege, and Durham), honorary Ph.D. (Cologne), and honorary LL.D. (St.Andrews). He has many honorary fellowships and is an honorary or foreign member of American, French, Swedish, Chinese, Dutch, and Belgian Scientific Academies, besides being Membre d’Honneur de la Société Française de Minéralogies et Cristallographie. He was awarded the Hughes Medal of the Royal Society in 1931; the Royal Medal of the same Society in 1946, and the Roebling Medal of the Mineral Society of America in 1948. Together with his father, he has published various scientific papers on crystal structure after their joint publication of 1915: The Crystalline State (1934), Electricity (1936), and Atomic Structure of Minerals (1937). Sir Lawrence’s chief interests at the present time are the application of X-ray analysis to the structure of protein molecules, which are being investigated in the Davy Faraday Laboratory of the Royal Institution, in continuation of similar work at the Cavendish Laboratory, Cambridge. This collaboration has succeeded in determining for the first time the structure of the highly complex molecules of living matter. 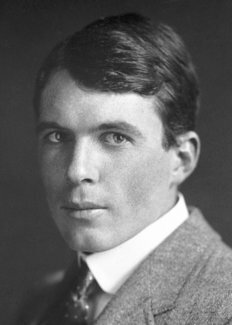 Having been awarded the Nobel Prize at the very early age of 25, W. Lawrence Bragg was the youngest-ever laureate. 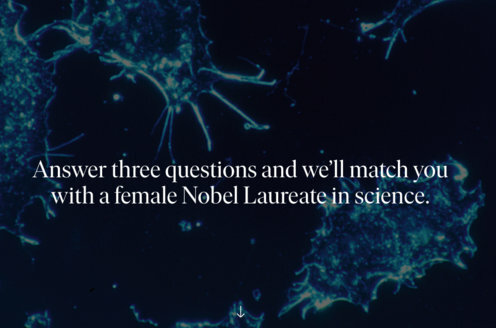 The very rare opportunity of celebrating a golden jubilee as a Nobel Laureate was given special attention during the December ceremonies at Stockholm in 1965, when Sir Lawrence, at the invitation of the Nobel Foundation, delivered a lecture – the first Nobel Guest Lecture – in retrospect, on developments in his field of interest during the last fifty years. In 1921 he married Alice Grace Jenny (née Hopkinson) of Cambridge, and they have two sons (the elder of whom became chief scientist with Rolls Royce, while the younger entered a Cambridge instrument-making firm), and two daughters (the elder of whom married an official of the Foreign Office, while the second married the son of the Master of Corpus Christi College, Cambridge). Lawrence Bragg died on July 1, 1971.